We’ve all been there as homeschool moms — the shiny new curriculum that looked so great in the fall is suddenly lackluster after the holidays. One of our kids hates math, the other won’t sit still through the read-alouds. The kids are reluctant to “do school” and we just don’t have the energy to keep fighting it. 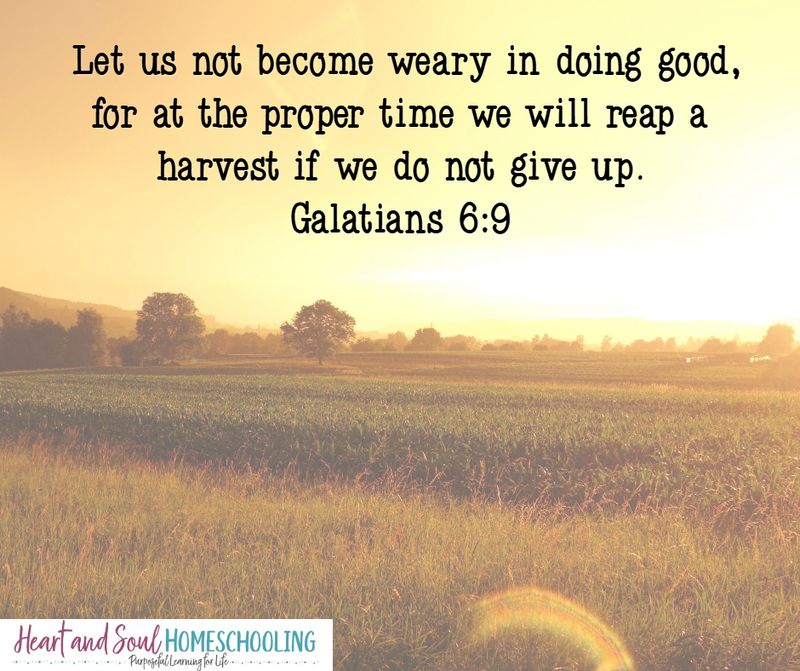 We simply can’t find our homeschool groove. Sound familiar? So what’s a homeschool mom to do when this happens and the days feel like an uphill battle? I don’t mean just pie-in-the-sky let’s count our blessings kind of delight (which is good in its own way when necessary and appropriate), but delight-directed homeschooling. You might know it as interest-led learning, but I just love the sound of delight-directed so that’s what I call it. Of course, I’m not the originator of delight-directed learning. 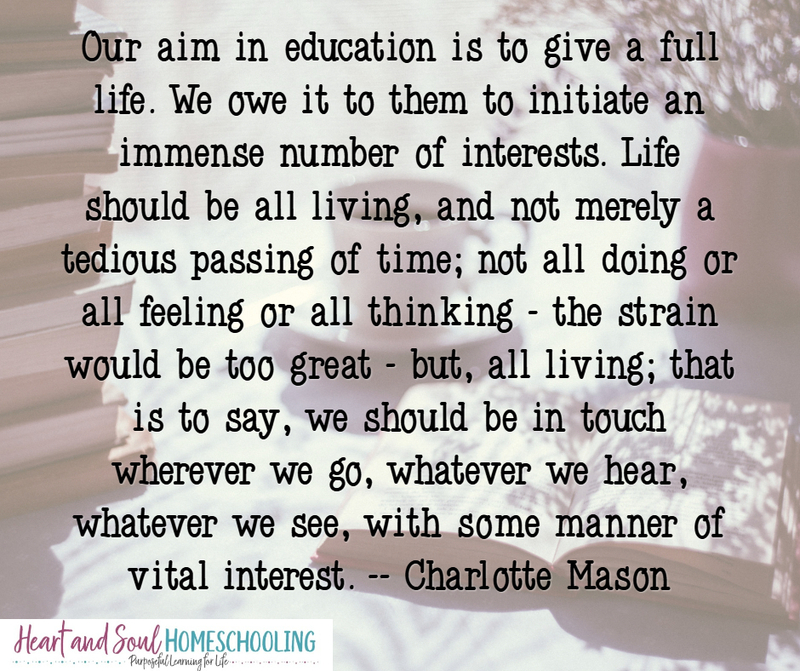 I borrowed the concept from Charlotte Mason, who has influenced my educational philosophy in many ways. Education is about more than just a collection of facts, it’s about becoming lifelong learners. It’s about finding the joy in learning new things, pursuing purpose, and igniting the imagination. 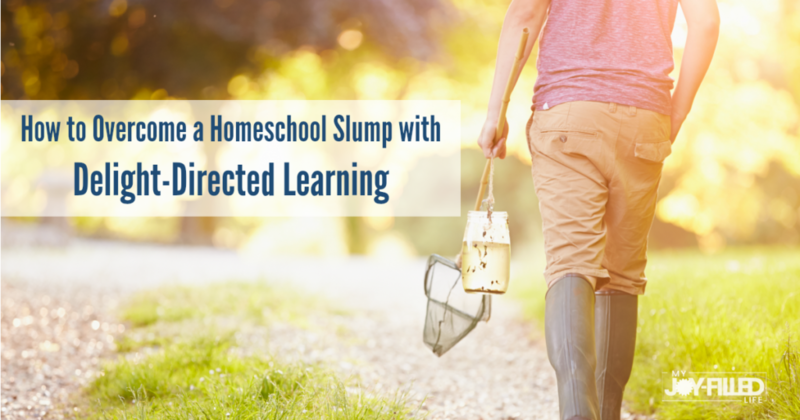 You don’t have to throw your curriculum away, but maybe it’s time to try another approach — even if just for a short time of refreshment and renewal in your homeschool. Try living books rather than textbooks, workbooks, or worksheets. Whether you use them as read-alouds for the whole family, individual reading selections, or even as audiobooks to listen to together, living books can spark a renewed eagerness to learn. Don’t be afraid to follow the rabbit trails they might lead to, either. Choose a delight-directed unit study. Sit down and talk with your kids about their interests. Just having the conversation can turn into a great discussion and teachable moment. There is bound to be something they’d like to learn about or that they have questions about. Use that as your jumping off point for a unit study. For instance, we’ve done unit studies on horses, penguins, national landmarks, seashells, Amelia Earhart, Little House on the Prairie, Ireland, and many more. You can capitalize on the spark of interest to incorporate into all of the subjects you study. We often include lapbooking and/or notebooking in our delight-directed unit studies. These are a great hands-on way for children to visually demonstrate what they’ve learned in a creative way. When kids are actively involved in their education, choosing topics of interest, they take greater responsibility for it as well. This is so important in creating independent thinkers who can develop the habit of reading and learning for themselves. Delight-directed learning is a change of gears that can make all the difference over the long haul in your children’s education. This is not a time to cut corners or give up too easily. The relationship you build with your children, the character you instill, and the purposeful way you guide them will last them a lifetime. The idea of stepping away from pre-planned lessons with scope and sequence in favor of delight-directed learning might sound a little scary at first. It might even sound like more work in the beginning, but the effort is more than worthwhile. The difference in your child’s attitude toward learning will be a reward in itself. Sara is a homeschooling mom of three daughters. 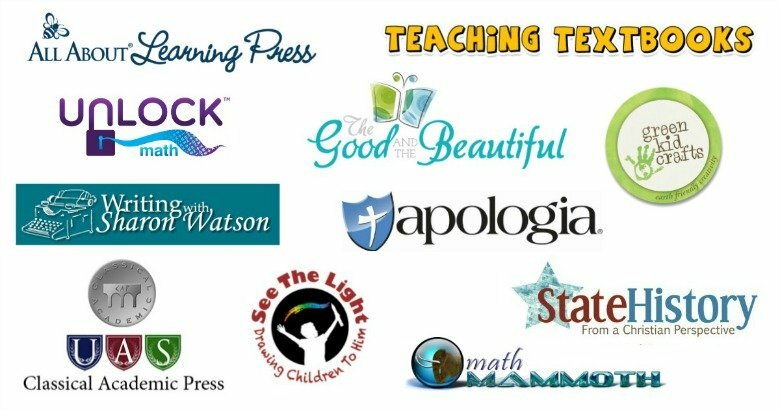 She is an author, speaker, and blogger at Heart and Soul Homeschooling. 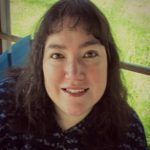 You can connect with her on Pinterest, Facebook, Twitter, and on her Amazon author page. Delight-directed learning needs to be a new goal around here… I’m intrigued. 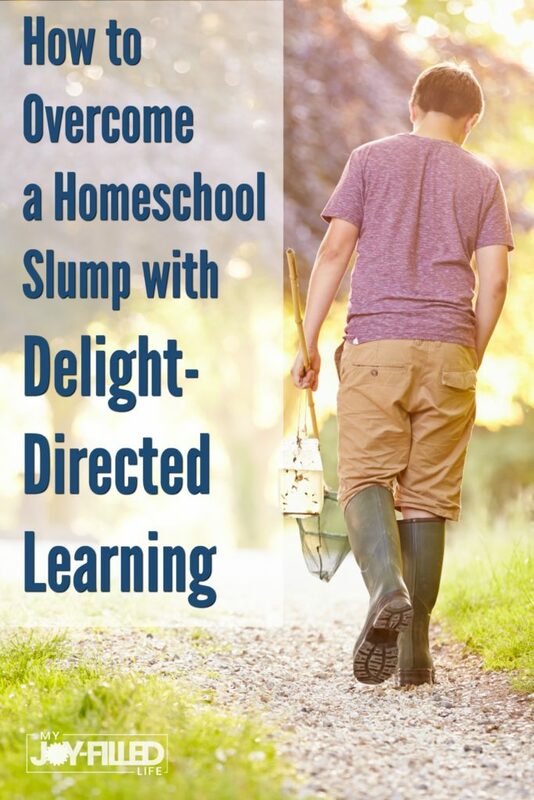 Delight-directed learning has worked for us in the past when we hit the “doldrums”. It’s nice to add some variety into your days this way. Keeps things interesting! This sounds really great, and I know our whole family would benefit! It changed our homeschool and our attitudes, that’s for sure. I hope it works for you, too! Yes, yes, and yes! Delight-directed learning is the way to go! I am learning to let go and follow my children’s passions more for their schooling. It’s been a joy to watch them each follow their own strengths and interests. I’m so glad to hear that! It really does make a difference. We do a lot of delight directed learning here. My children are allowed to explore lots of topics on their own. I facilitate by getting them books and they take off from there. This is a new concept to me, but it sounds like what we’ve been missing! “Education is about more than just a collection of facts, it’s about becoming lifelong learners. It’s about finding the joy in learning new things, pursuing purpose, and igniting the imagination.” My first “tweet” haha! I loved this paragraph. I’m not typically one for going over-the-top-fancy-crafts, but lapbooks and unit studies are appealing. My children love them! I, on the other hand, tend to feel burdened by gathering supplies for such a task. 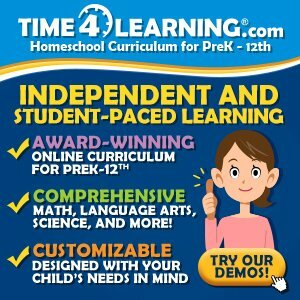 I’ve been homeschooling for almost 12 years now and the idea of starting over or not using what we already own is daunting. However, I have tried to open my eyes to the world of freebies: local library, online programs, audiobooks, free trials, etc. This has refreshed my children and intrigued them to know resources abound! As we have entered the high school into college prep journey, I am finding myself re-evaluating the day-to-day goals in our education. The vision that academics are important, but not nearly as important as character training has really hit hard. Thank you for this article! I found that reading great books and having discussions was a better way for us. Then we added in the unit studies and lapbooks. I admit we haven’t finished every single lapbook we ever started due to losing interest or running out of supplies at the time, but we have come back to some later and finished. I love the idea of crafts more than I love actually doing them, LOL. My daughters are constantly creative, though, so they come up with things that I never even thought of doing to go along with what we’re learning. It’s so great to see them taking that initiative! And character is foremost for us because I discovered that reaching their hearts is the first step in reaching their minds. Thanks so much for taking the time to comment and share!